Special Charter Membership Invitation, Especially for You! ✓ YES! I want to accept your invitation to the exclusive investment advisory and save 78%! 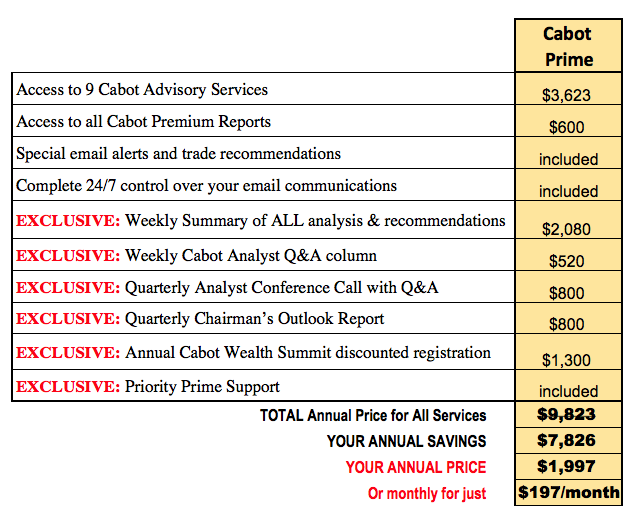 Please start my charter membership to Cabot Prime immediately.